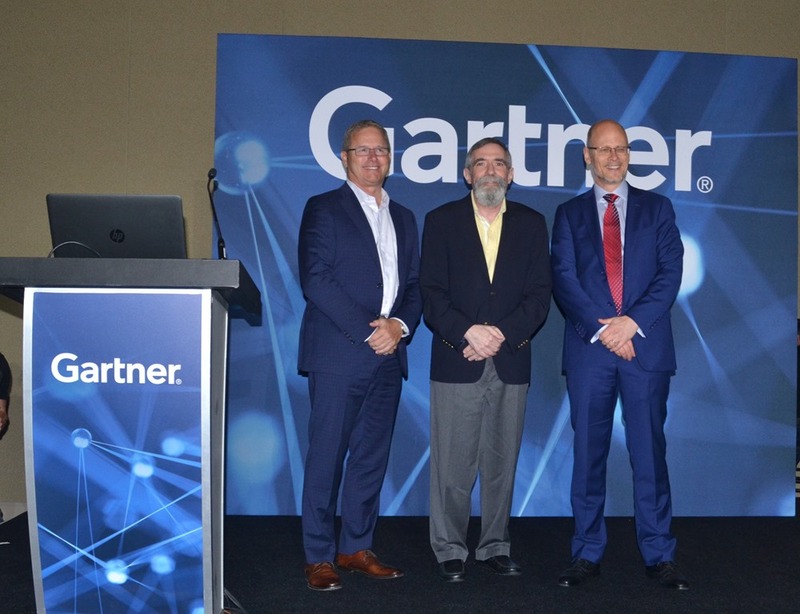 This year at the Gartner Security & Risk Management Summit in National Harbor, MD there was a lot of focus on managing and mitigating risk to a business and how to improve cybersecurity through data-centric protection. One area of concern to many organizations is how to comply with some of the newer cybersecurity and data protection regulations, like GDPR, as governments are trying to improve customer and business data security. With all the recent malware, ransomware and data breaches, there was obviously a focus on how to prevent harm to one’s business. As businesses move more into the realm of digital business, the concept of trust is becoming a larger issue. If your customers do not trust you with their data, they will be less likely to do business with you. On Tuesday June 12, 2017, John Herring, President & CEO of Fasoo, Inc., Dr. Larry Ponemon of the Ponemon Institute, and Ron Arden, Executive Vice President and COO of Fasoo, Inc., presented “Do You Have a Pathway to Data Security Compliance?”. John talked about the challenges of complying with the new NYDFS 23 NYCRR 500 cybersecurity regulation that affects any business regulated under banking, insurance and financial services laws in New York. This applies to organizations doing business in NY and also affects third party service providers of those organizations. Ron discussed a six step plan to encrypt and control unstructured data or data in files that is a key component of meeting the NYDFS, GDPR and other data protection and privacy regulations. The session had about 150 people in it and many of them asked specific questions about who is affected, how do you work with your service providers to ensure they are protecting your sensitive data, and how to really provide complete control of your information regardless of its location. 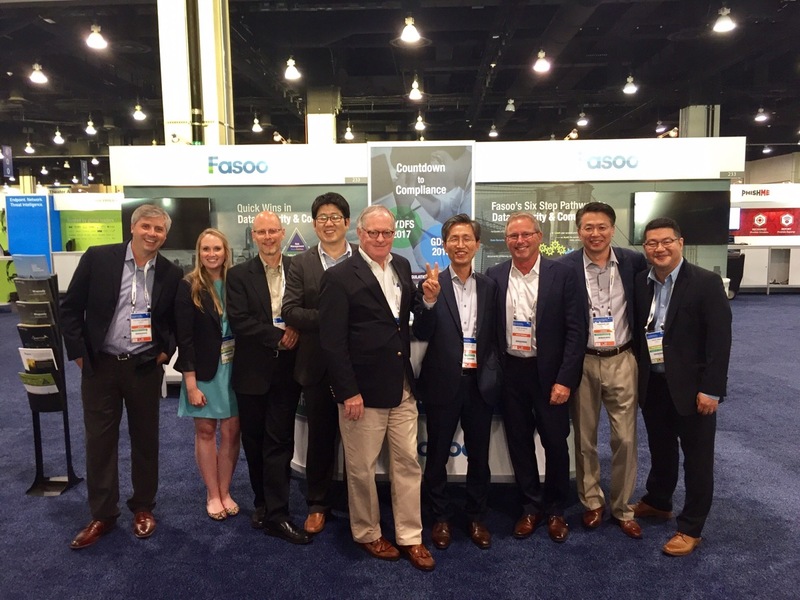 During the course of the summit, a lot of attendees and analysts came to the Fasoo booth to understand the best ways to comply with these new regulations and how to protect sensitive data from both internal and external threats. Visitors were very impressed by how the Fasoo Data Security Framework can help them achieve those goals by discovering, encrypting and controlling their sensitive data. One interesting presentation by John Girard and Brian Reed from Gartner focused on information-centric security practices and the best ways to protect your business information. While Gartner and most of the security industry recommends a layered approach to security, when it comes to protecting information in files, John and Brian said that EDRM is the only solution that can really protect it. This is an important recognition that in the game of information protection and thwarting malicious or inadvertent attempts to steal sensitive data, perimeter solutions cannot meet the requirements as well as EDRM.